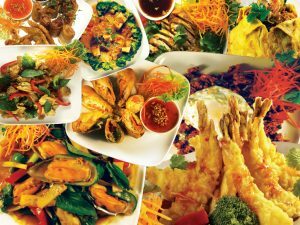 Dinner Reservation is recommended for party of 5 or more. 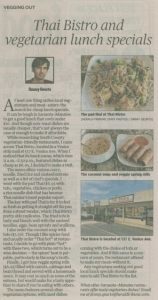 We’d like to thank you Jimmy Geurts for writing article on Herald-Tribune as seen below, about our vegan option served here at Thai Bistro. We listen for any input,comment and suggestion, and our vegan menu is the answer for our customer who keep requesting vegan option. So for all veganistas or anyone who wanna skip protein based meat once awhile, please come to try and enjoy our new addition of vegan dishes.